HMS Challenger Project | What is it all about? I would like to introduce myself as the new voice of the HMS Challenger blog. Heather’s last day at RAMM was on Friday and I will keep you up to date from now on. I am Holly, RAMM’s Collections Officer. This will be a very short post just to say that the Challenger website is VERY close to being launched. Here’s a sneak peak of the home page … still needs a bit of work but they do say a picture paints a thousand words. Data will be added gradually over the next month or so and I’ll let you know when it goes live! Exciting! Blue mud dredged off the East coast of the United States stored at NHM. And then we found the sea pen. There was a particular sea pen we were wanting to find for a while. 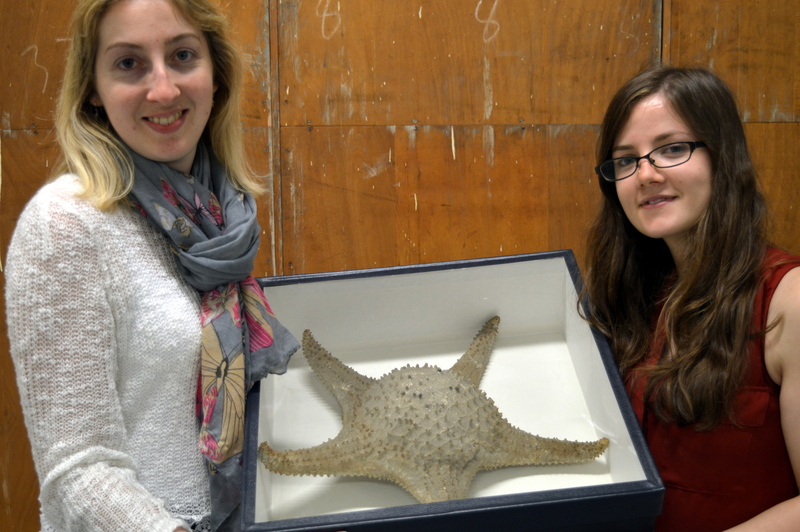 It didn’t come up on the NHM database search but we were determined that it was there somewhere! It is Umbellula thomsoni. 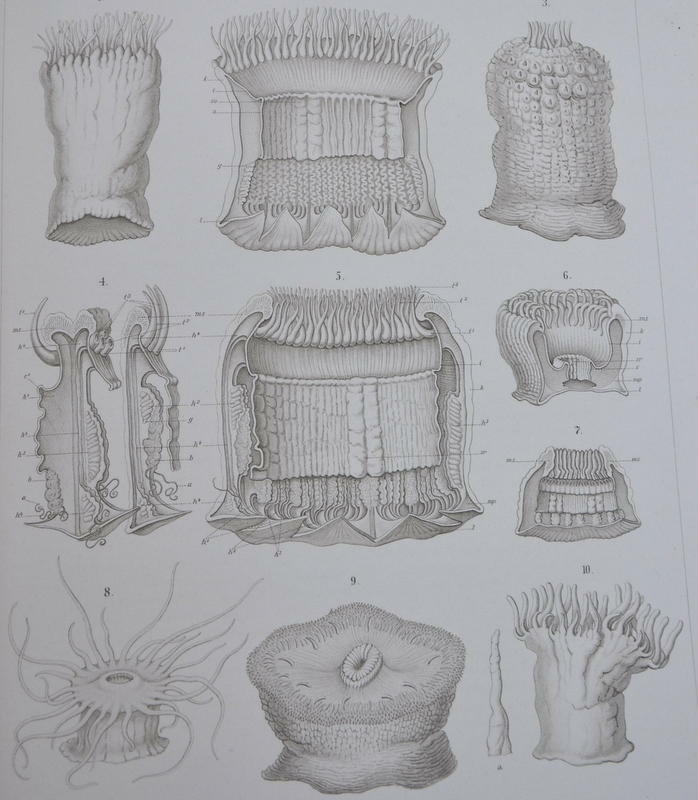 It is in the class Anthozoa and the order Pennatulacea. The Umbellula genus was a rare zoological curiosity that was probably one of the first signs of deep-sea life and so it was a very exciting find for the Challenger crew! On top of it being rare, this particular specimen was an amazing example of bright phosphorescence exhibited in some marine life. We are waiting for the specimen to be professionally photographed so I can’t show it to you yet but hopefully will be able to soon! Once back from NHM I had one week back in the office at RAMM and then disappeared off to the National Museum of Wales in Cardiff for 4 days to photograph some molluscs, including lots and lots of tiny shells! The majority of these were 6mm or smaller and so it was quite a fiddly job. We also got to photograph some bigger molluscs though – like octopus and squid. 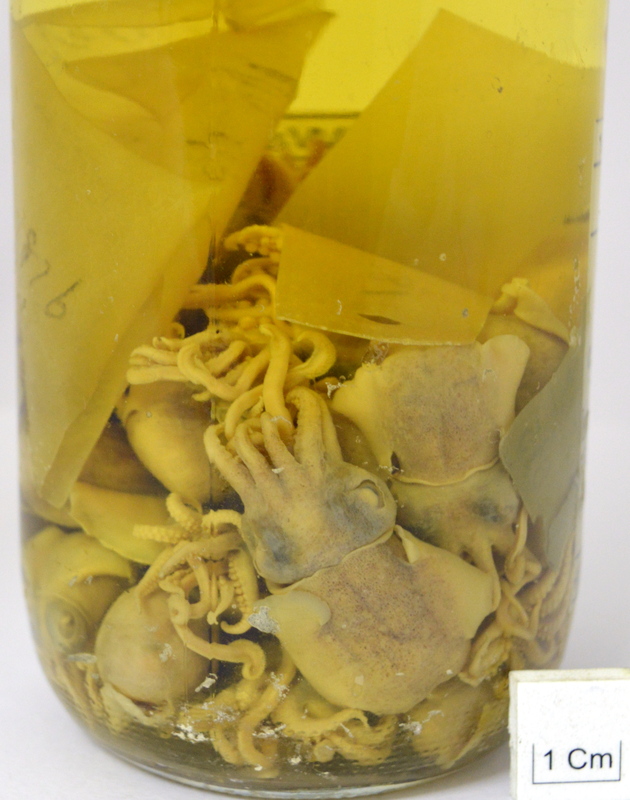 Some squid caught at station 313 by Argentina stored at NMW. 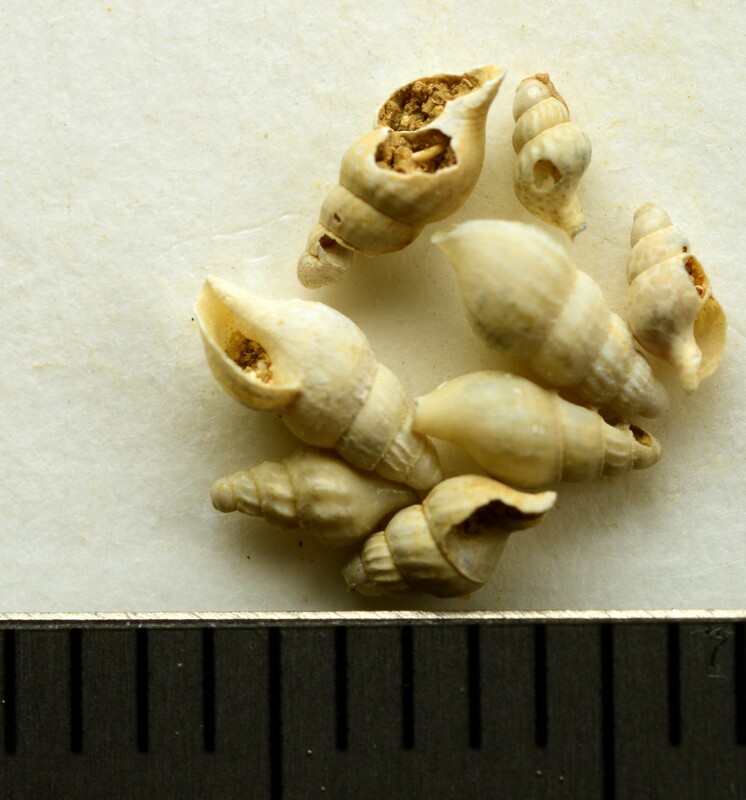 Some true whelks found off of Brazil stored at NMW. Next stop is Dublin in 11 days time to visit the National Museum of Ireland. We are keeping busy here on the Challenger project! 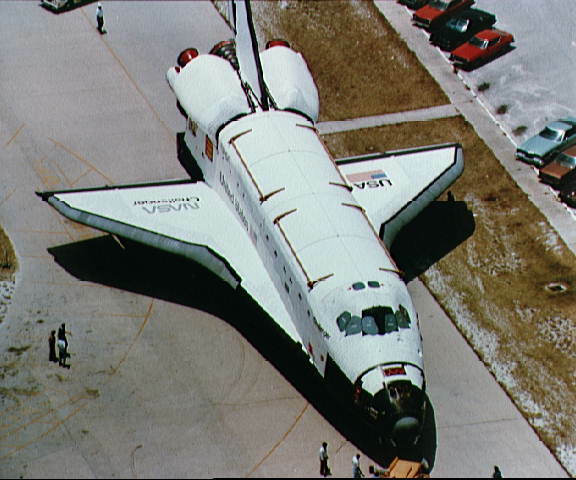 Three of NASA’s five space shuttles were named after British exploration ships – the Discovery and the Endeavour after Captain Cook’s ships; while the ill-fated Challenger, which exploded on launch in 1986, was named after our very own HMS Challenger. The connections are very appropriate, in fact. Not only were the Challenger expedition and the space shuttle flights both landmarks in their respective worlds of science, they also have similar undercurrents of political and military involvement. Both programs were born of world powers wishing to show their technological and financial prowess, and what better way to do so than to fund scientific expeditions to gather new knowledge about little known environments? Also, while HMS Challenger had most of her guns removed, she and all her officers still belonged to the Royal Navy. Just as the Royal Navy stood to benefit from new knowledge about the ocean in the 1870s, so the US military benefited from NASA’s ballistics and physics research. Finally, the space shuttle programme was cancelled by budget cuts in the US government. When HMS Challenger returned home in 1876, the expedition also faced funding problems. The government grew disappointed with how long it took to produce the reports and one of the Challenger’s scientists had to put a lot of his private money into the project. This BBC Radio 4 programme from 2011 (when the space shuttles were decommissioned) explores these similarities and more. It’s only half an hour long, and well worth a listen! Hello! This is Peter (the Challenger Project’s volunteer) writing. I’m a history student at the University of Exeter, and I’ll be working here until the end of June. As you probably know, the Challenger project is bringing together data from museums all over the country. It’s great that there’s so much information, but it can be pretty overwhelming! 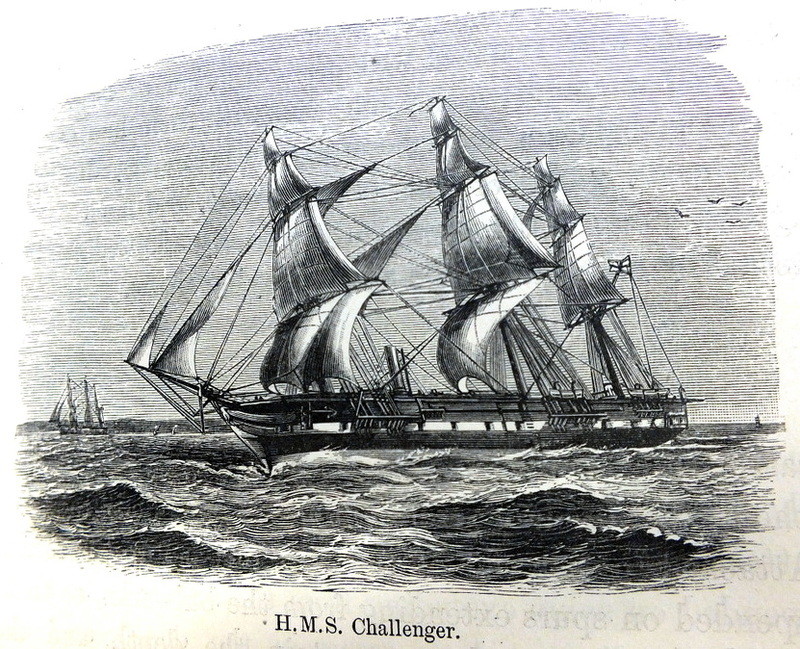 HMS Challenger stopped at over 400 locations (at 354 unique stations) during its trip around the world. 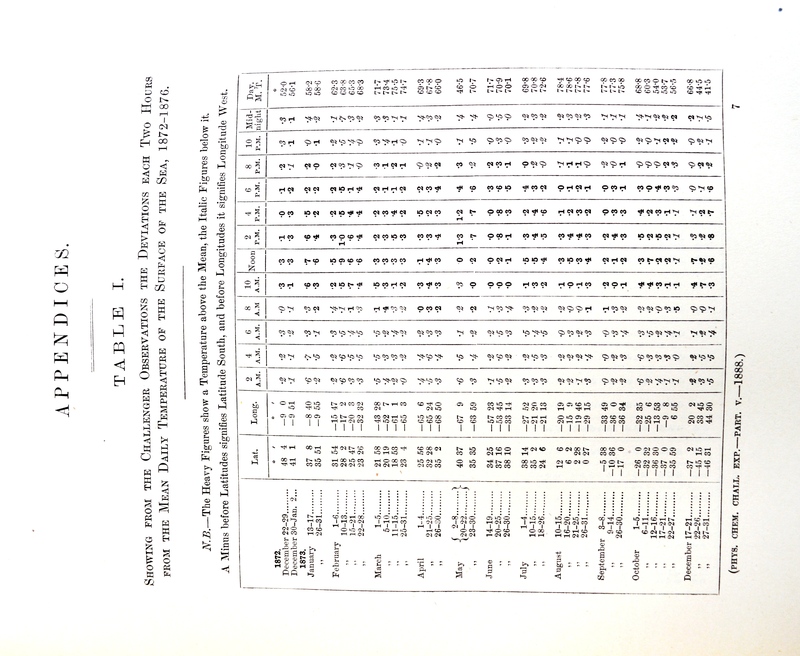 At each of these stations, the crew and scientists took detailed scientific readings about the sea and the weather with barometers, hydrometers, thermometers and other instruments, as well as dredging or trawling the seabed for specimens. Just the data we have amounts to well over 15,000 specimens! So far, most of what I’ve been doing is going through spreadsheets of information, matching up station numbers with data like ocean depth and temperature, or filling out taxonomic data for several hundred specimens (so far!). This temperature data was collected by the scientists on board the Challenger. Something more interesting I’ve been looking at recently, though, is the equipment used on board HMS Challenger. Though the Challenger was a corvette, a small war ship, most of her guns were removed to make way for all the scientists, their equipment, and a pair of laboratories. A small steam engine was also fitted to the upper deck, to be used as a sort of winch for towing, raising and lowering the dredge and trawl. The dredge was a net fitted to an iron frame which would be dragged along the seabed on a long rope, stirring up the bottom and scooping up samples. 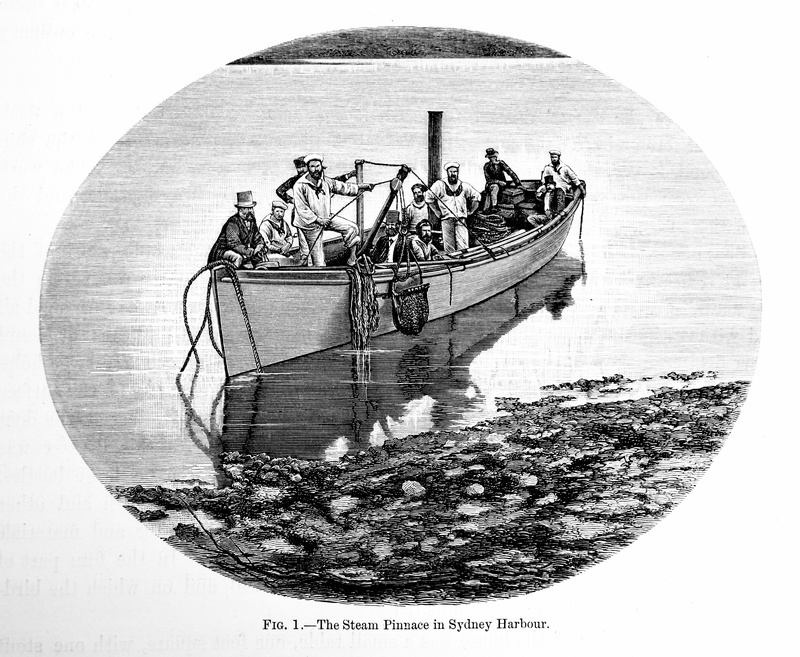 The trawl was a more simple net which could be used where the bottom was smoother. The dredge could also be dragged behind the Challenger’s steam pinnace. The specimens brought up would be sorted in the port-side natural history laboratory, which was equipped with microscopes and a wide variety of bottles, jars and spirits in which to preserve animals and invertebrates. Botanical specimens would be pressed and dried out in a warm area near the ship’s funnel (this was found to be far more efficient than using the purpose-built press that they brought with them! 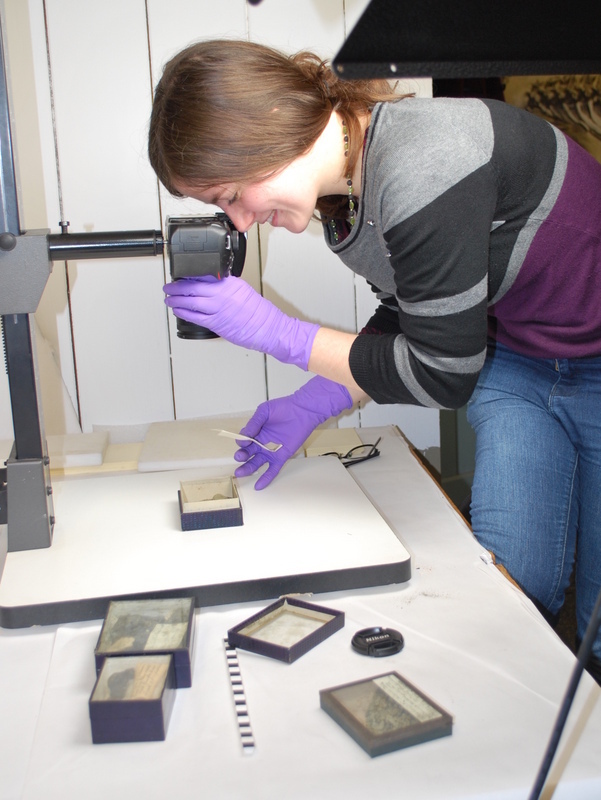 ), and then everything would be catalogued and put into storage in the hold. 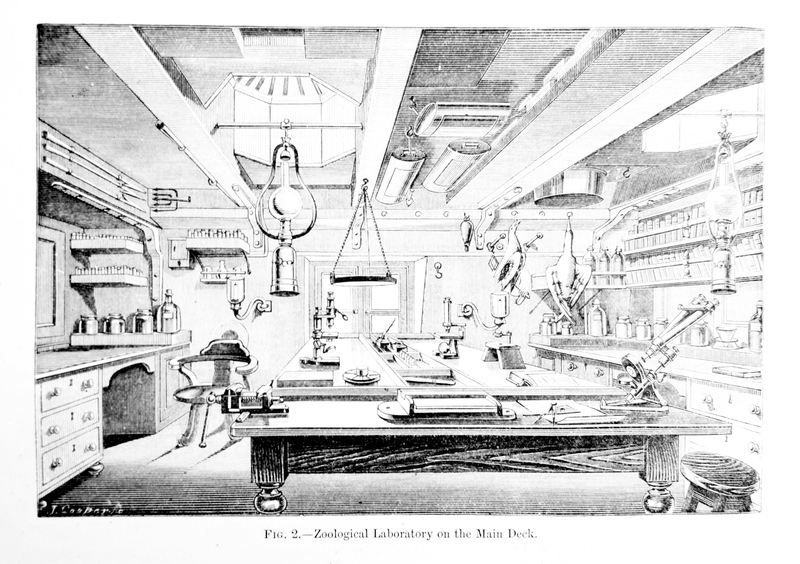 In the Natural History Laboratory, specimens could be examined and preserved with the use of scientific equipment. Note the microscope. But it wasn’t just the living creatures that they were interested in. 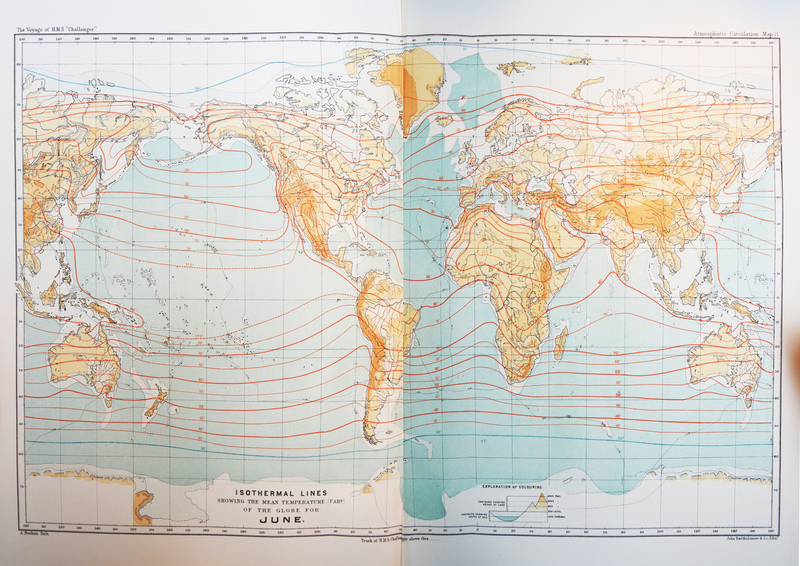 At one point, barometer and air temperature readings were taken every two hours for a whole year! 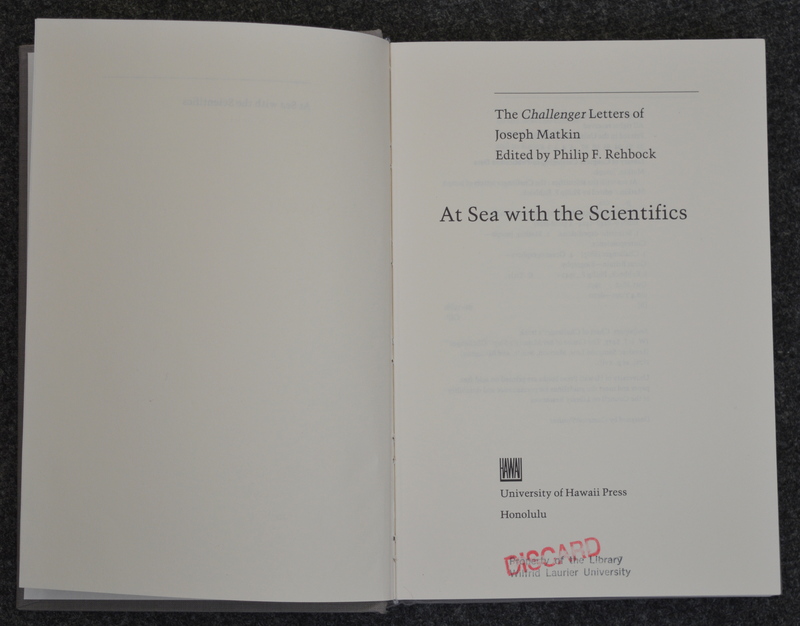 At every station, the sea temperature was taken at various depths with a special pressure-resistant thermometer, and samples of the sea floor (using a Baillie’s sounder) and sea water at various depths (using a slip water bottle or a stopcock water bottle) were brought up for analysis. This was done in the starboard-side chemical laboratory. This was equipped with state-of-the art equipment for testing what gases were dissolved in the seawater, a glass-blowing bench and a hanging spirit lamp, designed to heat substances without spilling them in rougher seas. This sounder was used to measure the depth of the ocean and collect samples from the seabed. The HMS Challenger voyage was massive. A four year long trip around the world is not going to go without ups and downs. Here are some of the sad and unfortunate deaths of the crew as the years went by. Let’s start right at the beginning. HMS Challenger started off in Sheerness to be refitted before going to Portsmouth. One dark night whilst still at Sheerness, a young man called Tom Tubbs was wandering up the ship’s gangway in the dark before tripping and drowning in the dock. Despite best efforts by shipmates and the police, poor Tom could not be saved. Could this have been a warning that the voyage would not go as smoothly as imagined? Early morning at 6.15am the ship got ready to sound and dredge. At 11.10am a dredge was put over but little did they know that when hauling in the dredge one of the hooks holding an iron block to the deck would break, sending the block flying and striking a young sailor, William Stokes, to his death. And it wouldn’t be much longer until tragedy struck yet again. Once the crew reached Bermuda they came across a beautiful picturesque harbour at Grassy Bay, not far from the capital of Bermuda. 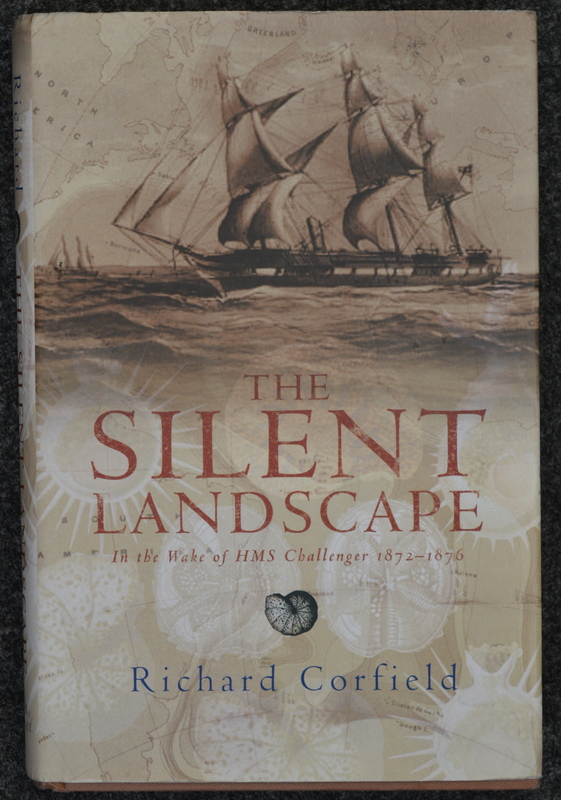 The atmosphere between the crew had just started to change for the better and so it must have been horrific for Richard Wyatt, the ship’s writer, to hear the dying gasps of the ship’s schoolmaster and find him dead due to a stroke. He was put to rest at a nearby cemetery in Bermuda. The next death recorded was some time after Bermuda. On route to New Zealand, nearly at the harbour, Edward Winton was out to do a sounding when the sounding cable got caught. He went to free it from the anchor when a huge wave of water struck the ship, knocking poor Edward into the sea, never to be found. Dr Rudolph von Willemoes Suhm, born September 11th 1847, joined the Challenger at the age of 25 as a naturalist. 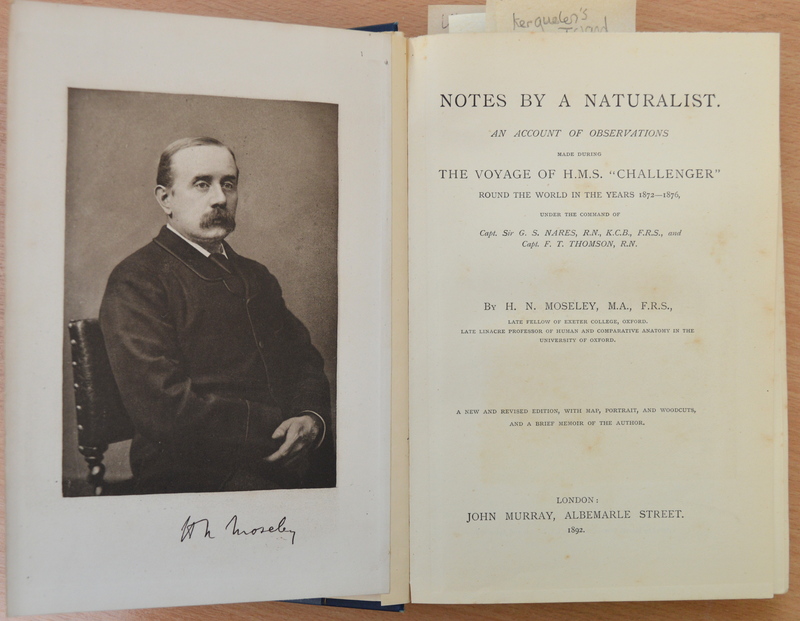 Moseley was very fond of him – learning a lot from his knowledge and proud of his enthusiasm for zoology. Sadly, Suhm got erysipelas, a bacterial infection that attacks the skin and died at the age of 28. It was a sad time for all. Nearing the end of their journey, despite being very happy to be on the Falklands and drinking to celebrate, a young sailor fell overboard. This young man was popular amongst all and was planned to be married when the voyage was over. So there we have it – and there were probably far more deaths that aren’t recorded as well as illnesses and disease that riddled some of the crew. There are also some stories in the diaries that give us an insight into the world of the locals too. In Fiji, when highly regarded visitors went to see the great chief, the visitor had to bring human flesh, usually of a prisoner, just for fun. If there were no prisoners the visitor had to go out and find others to kill for the chief – usually a lone girl or woman. Horrible to believe how some people used to live! Sea anenomes are in the phylum cnidaria, like jellyfish. Sea anemones attach themselves to rocks with their adhesive foot, attacking prey as they go past with their stinging tentacles. Their tentacles have cells that contain toxins that, when touched, shoot out venom that paralyse the prey. The anemone then uses its tentacles to bring the prey into its mouth. With over 1000 species of sea anemone, they range from 1/2 inch across to 6ft! They can be found all over the oceans. 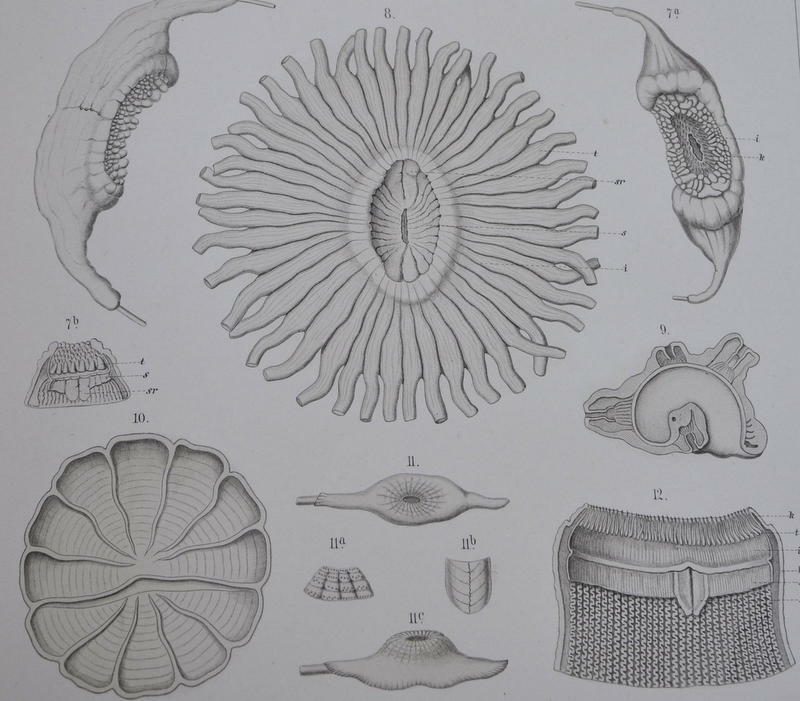 On the HMS Challenger expedition, several species of sea anemone were dredged and trawled. Take a look at some of the plates found in the reports below.. 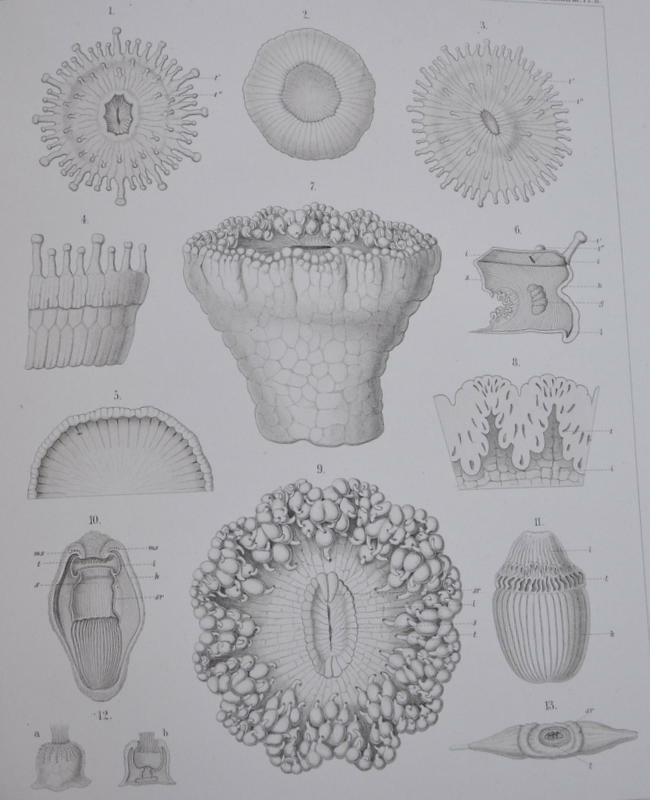 Plate 1 from the Challenger Actiniaria report. Showing genera such as Porponia, Cercus and Paractis. One species of anemone found on the expedition was Calliactis polypus. They were found on station 208 on January 17th 1875 at 18 fathoms and also at St Vincent, Cape Verde. 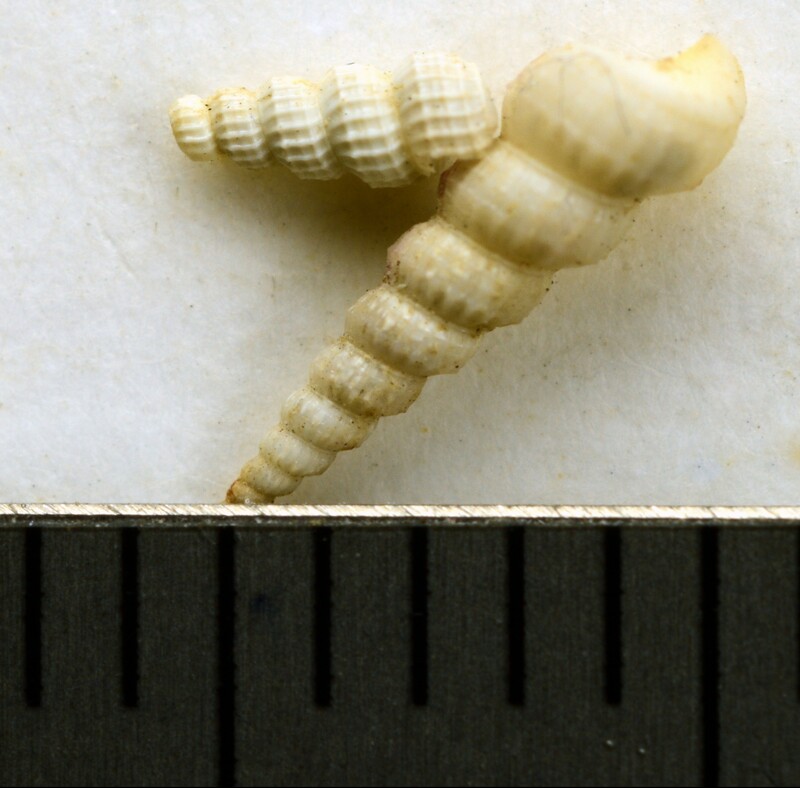 They were all found on gastropod shells that hermit crabs were living in. This is because the anemone gets to live and feed on the shells in return for protecting the crab. The anemone isn’t naturally attracted to the shells but the hermit crab will persuade the anemone to fix itself on to the shell by tapping on the shell so the anemone relaxes. 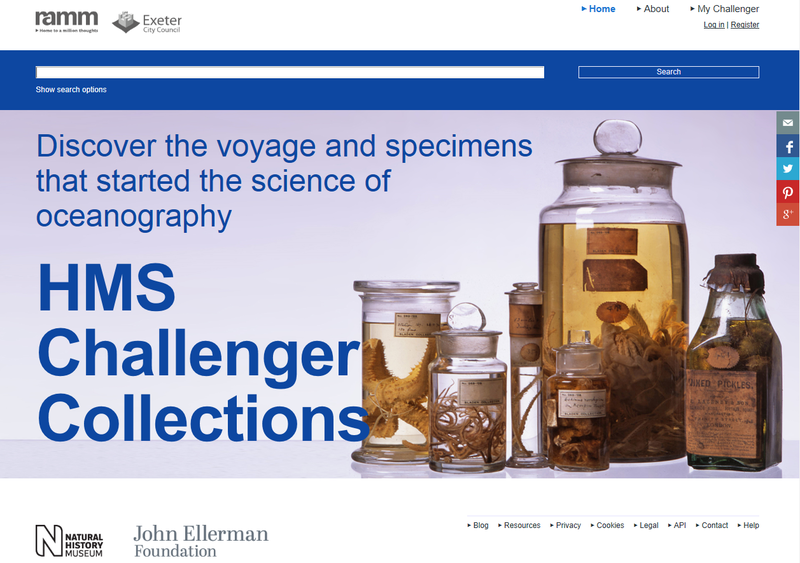 We are moving a long at a nice pace with the Challenger Project – with the help of many museums we are starting to collect a large amount of Challenger material which I am currently sorting to go on our database. If all deadlines are stuck to, the website/database should go live at the end of September this year. Keep your eyes peeled! In next month’s blog I will be reading up on the narratives and diaries of HMS Challenger and will be looking in to the dark side of the voyage where all was not going well..